The average length of a cat’s pregnancy is a little over 2 months (65 days). Cats typically show no signs of pregnancy for the first few weeks. Cats can suffer from morning sickness and/or low energy (usually late in the first month), though this is not very common. Some cats also become more affectionate when pregnant. When a cat is close to giving birth, she’ll become restless. She may begin looking into closets, cupboards, drawers, and other potential nesting sites if you haven’t provided a good kittening box (see How to Care for a Pregnant Cat for information on kittening boxes and other aspects of care and feeding). See the Pregnant Cats and Kittens Page for more information about pregnant cats, kitten development week by week, kitten training, kitten care, and more. For a full list of cat articles, see the main Cats page. Carlson, D., DVM, & Giffin, J.M., MD. (2008). 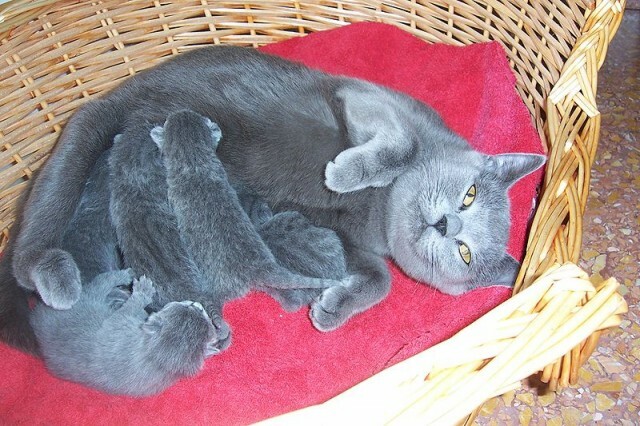 “Pregnancy and Gestation in Cats.” WebMD.com. How long is to long for an orbortion in a cat?